Nearly a week ago (December 7th), Coinbase announced that it would explore the possible addition of up to 31 new crypto assets. As one of the leading crypto exchanges, Coinbase plans to integrate additional digital assets into its exchange. Ripple (XRP), is one of the digital currencies Coinbase is considering. Currently, this cryptocurrency stands as the second most valuable digital asset based on market valuation. XRP checks in at a little over $12 billion. So with a valuation second only to Bitcoin, what is it that is keeping Coinbase from listing XRP? Especially when the exchange is willing to list smaller market cap currencies and other ERC20 tokens? Coinbase general manager and vice president Dan Romera announced that the exchange would like to list 90 percent of assets that are compliant. This comes with the caveat that these currencies meet certain expectations and qualities set forth by Coinbase. Romera emphasized that Coinbase wants its users to view it as a traditional stock market. Their aim is to provide as many options as possible. This will give users the opportunity to decide which digital currencies are right for them. Coinbase has shown a shift in its strategy which is a result of customer feedback. Users want new cryptocurrencies on the exchange, so Coinbase is doing what it can to provide them. That doesn’t mean there won’t be bumps in the road along the way. When Coinbase announced its new priority, XRP investors questioned the exchange’s commitment to providing the best digital currencies to its users. This concern has only gained momentum since Ripple surpassed Ethereum as the second largest cryptocurrency in the world. 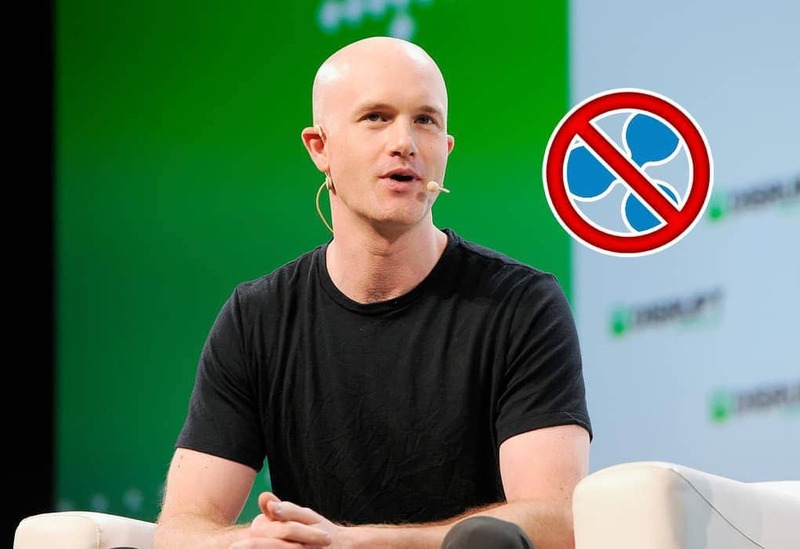 Many speculate that the cautious way Coinbase is considering XRP is largely due to a pending Federal case against the cryptocurrency. The case is between a group of investors and Ripple Labs, with the investors arguing that the asset is a security. This combined class-action suit against Ripple came before the United States federal court recently. The case will be a huge stepping stone in determining the regulatory nature of Ripple. If the United States SEC (Securities and Exchange Commission) does decide that XRP should be treated as a security and Ripple decides to challenge the decision, then the case moves on to federal court. Therefore, the U.S. SEC has no choice but to play the waiting game for the results of the case. Basically, the SEC is in a position where it has to wait for a judge or jury to deem whether or not Ripple is a security. Everything boils down to whether or not XRP is a security. Unfortunately, everyone is in the same boat as we wait on a judge or jury to decide. Then the decision may hinge on whether or not Ripple will accept the outcome. As a result, until the courts decide whether XRP is security or not, most major cryptocurrency exchanges may not take the chances of implementing XRP. This is likely the case even if the exchange believes that the coin is not a security.